As a Sundance alumnus, I received an email back in January about a new Sundance-Kickstarter intiative that my lab project is eligible for. If you haven’t heard of Kickstarter before or aren’t quite sure how it works, some of the basics are covered here. I’ve been following the site for some time now, mystified by the insane success stories like the TikTok Nano Watch that raised nearly a million dollars or the Diaspora social network that exceeded their funding goals by 2000%. Encouraged by those projects I’ve been offering my help to fellow filmmakers in creating a funding campaign tailored to their project and funding needs. I originally planned to write this post as a way to help her get the word out about her campaign. But then she reached her funding goal of $2,100 in less than 48 hours! Since that initial success, Kickstarter featured the project on their homepage which helped skyrocket funding to $5,600! So instead I’ve decided to write this up as a short case-study to encourage you to try the funding resource yourself and some tips on designing a strong campaign. Even though she is an emerging filmmaker, she has a track record as a storyteller. The project has a strong team of crew members she’ll be working with whose bio/work she highlights. A unique pitch video that gives you a sense of the film’s tone and author’s humor in a way that a written description can’t. A unique set of rewards tailored again for the film’s tone and irony. Some of these rewards, like ebooks, actually extend the story-world of the short film in a crossmedia manner (check my earlier post on crossmedia). Adequate amount of time for the funding requested. The campaign was advertised to potential patrons in email-waves: first to her family & friends, and then to her larger network of Facebook contacts as well as those of her fellow crew members. Original campaign goal wasn’t too greedy, rather the bare minimum that she needs to get the film made. And she honestly spelled out how the money will be spent. Most importantly, she’s viewing this as one step towards building an audience of patrons who might want to support future projects. Again, take a look at her page, you might find her example useful and there’s still 3 days to pledge if you’d like to be a part of this unique gem (campaign ended: she raised $5,871!). 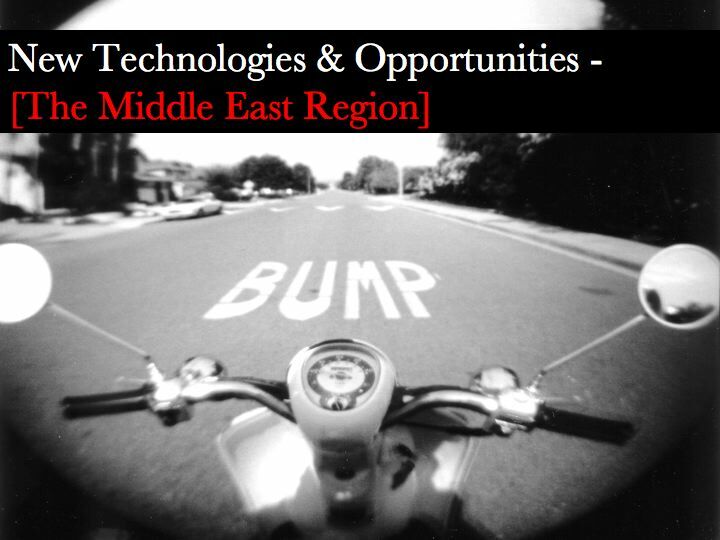 This is a presentation I recently did on ‘New Technologies and Opportunities for Filmmakers in the Middle East’. It offered me an opportunity to explore some new possibilities of storytelling with tools like PC tablets and dSLR cameras that I’d like to use for my own filmmaking in the coming months. If you’re interested in things like crossmedia, the iPad, and independent distribution then I think you’ll enjoy this. One of the themes of this presentation is the idea that we as filmmakers need to provide our stories or messages in various forms to our audience. FIRST OPTION, you can download a PDF of the slides and written narration. SECOND OPTION is to simply read the post below, where I’ve embed the slides and some delicious videos and useful hyperlinks. In order for us to use new technologies we have be ready to conquer a learning curve and the feeling of being disorientated. Despite this, as filmmakers we must embrace the new opportunities these developments provide. We will be talking specifically about the Middle Eastern region but much of what I’ll say is applicable to most of the world especially if you live in an underdeveloped region and you’re trying to communicate a story for your local and global audience. This short presentation isn’t meant to be a sermon – rather the beginning of a conversation. I really want to hear your opinions about how we as filmmakers can leverage technology.